Back To Our Past is organised by S&L Promotions Ltd which has over 20 years experience in running successful, diverse events. S&L were the first company in Europe to organise a public golf show back in 1992, and ran the tented village for The European Open Golf Tournament at the K Club (venue for the 2006 Ryder Cup) for five years. The company has also organised food shows, recruitment fairs and IT events. For the past 16 years it has organised one of Ireland’s most successful events, the Over 50s Show, growing it year on year from 40 stands attracting an attendance of 5,000 to last year’s 280-stand event boasting an attendance of over 20,000. This year’s event will be even bigger! 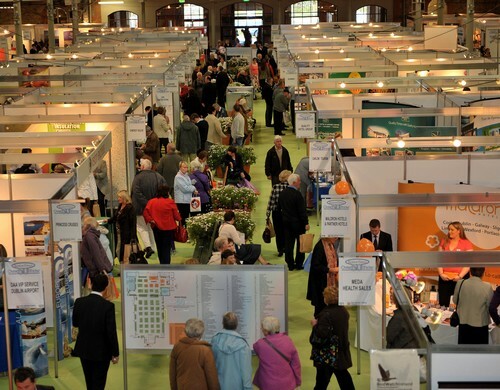 The Annual Over50s Show at the RDS in Dublin - part of Senior Times' national events programme. To register for FREE TICKETS to the show, just click on the BOOK EVENT icon below, enter your email address, the day you want to attend and the number of tickets you require. You will immediately receive an email confirming your attendance – there is no admission fee. To register for free tickets to the show, just click on the BOOK EVENT icon on the top left of this page, enter your email address, the day you want to attend and the number of tickets you require. You will immediately receive an email confirming your registration. There is no need to produce a ticket. Don’t know where to start on your family history? Historical photographs courtesy of The National Archives of Ireland Copyright ©2015, Back To Our Past.